February is almost over, get ready for March! Spring is coming… and so are the latest updates from the world of SUMO. …is happening on WEDNESDAY the 2nd of March – join us! 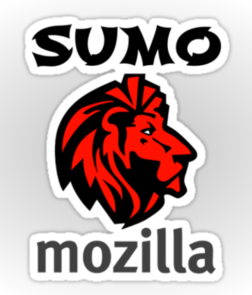 The latest SUMO Platform meeting notes can be found here. Notable news: Django 1.8 and HTTP 2.0 deployed on SUMO! Do you want to help us build Kitsune (the engine behind SUMO)? Read more about it here and fork it on GitHub! Brazilian SUMO members are getting ready to rock the spring – more details soon, thanks to Marco Aurélio! Ongoing reminder: if you want to write a guest blog post for the SUMO blog, let us know in the comments! Two posts are in the pipeline, but we do have a lot of space for yours, trust me. The Social Wiki is here – participate as you see fit! Reminder: here’s the kick-off document for the social support program. …and in case you’ve missed the kick-off meeting, watch it on our YouTube channel! A gentle reminder for those already supporting on Social – please don’t forget to sign your initials at the end of each reply and always use the @ at the beginning of it. The mailing list is up: socialsupport@mozilla.org – subscribe now for all things Social/Support. Reminder: We have a training out there for all those interested in Social Support – talk to Madalina or Costenslayer on #AoA (IRC) for more information. Firefox Version 45 articles are being finalized this week. Final reminder: Lauren and Joni have answered many a question and comment regarding the recent updates to the documentation for new contributors: read all about it here! If you’re curious about reaching 100% in style, read more about the French way of localizing everything in this blog post. One more great thing from France… Transvision 4.1 is out! The Bengali localizers are working on a style guide – want to help? Click here! …and while they’re at it, there’s an ongoing l10n sprint for Bengali to celebrate the International Mother Language Day. Starting next week, weekly updates from the world of SUMO l10n are coming up as separate blog posts (it’s an experiment, so watch out for explosions). Click here to see the date of the latest UI string update (from your Pontoon contributions). Reminder: we are deprioritizing Firefox OS content localization for now (more context here). If you have questions about it, let me know. Reminder: goals for February can be found on your dashboards – go forth and localize! And yes, this means goals for March are coming up soon. One more thing… Let’s fancy things up a bit! This beauty is now available in sticker format for all SUMO localizers, thanks to Elio. Talk about Version 44 in this thread. The thread for Version 45 is here! Click here to learn more about the Firefox 45 Release Notes and join the discussion. Coming your way on March 8th! Version 44.0.1 is here. Click and do let us know if you have issues with proxies, antivirus software, and certificates! Version 2.0 is out! Learn more about it & ask questions here. Version 2.1 that will address some known issues coming up soon – thanks for reporting the problems you may have encountered! And that’s it for this week! So… Any plans for March? Any suggestions for a great way to get out of the winter slowness and get a good start into spring freshness? Let us know in the comments! SEE YOU ON WEDNESDAY AT OUR COMMUNITY MEETING! The blog template may need updating. You still have the IMPORTANT note asking readers to discuss the meeting times despite having already changed that. Michał, Could I ask you to look at the thread you linked to please.